Rishabh Metals engaged in manufacturing of all type of stainless Steel Gates, Railings, Commercial Hotel Kitchen, Hotel Kitchen Equipments, Hospital Equipments, Garden Benchs, Garment Holders and many more since year 2003. Dealing in world's best quality Imported Stainless Steel Security Doors as well, Alongwith 11 inbuilt locks, door closer, toughened glass and availeble in many attaractive designs. We are one of the leading manufacturers and suppliers of supreme quality Hotel Kitchen and Hotel Kitchen Equipments. Offered products are made from stainless steel 304 and 202 high grade raw material. Our ranges of products are highly appreciated by clients for their high durability and longer service life. We offer these equipment at the most affordable prices with safe delivery. 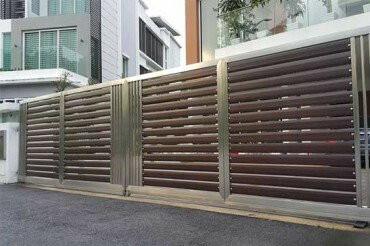 Highly appreciated for our quality of Stainless Steel Gates. We are manufacturing an enthralling collection of Stainless Steel Gates that are fabricated using high quality raw material (as 304 and 202 grade). Widely acknowledged by our customers for their durable finish standards, these gates are employed in residential and commercial sectors. 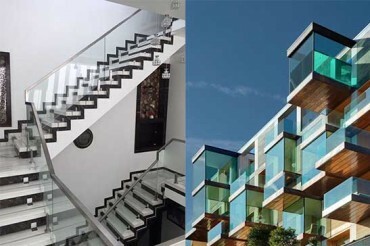 The team of our company presents balcony and stairs stainless steel railing of fine quality. These railings can be installed indoors or outdoors depending on the requirement of the clients. Available in different designs, Patterns and structures and are fully customizable. Our team delivers their best within the given time frame to the customers. Additionally with excellent finish, perfect fitting and long life. 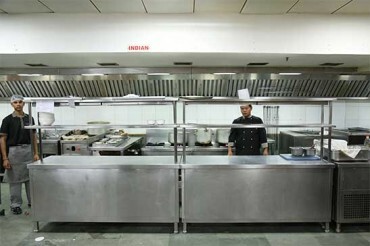 We highly recommend Rishabh Metals for any stainless steel hotel kitchen equipment's. Highly impressed with good quality, reliability and timely delivery of its products. 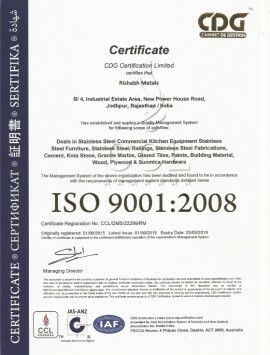 We are associated with Rishabh Metals Since last 6 years. They are excellent in service. Its wonderful to see product finishing, Quality and strength. I was marveled with the response that this company has given. 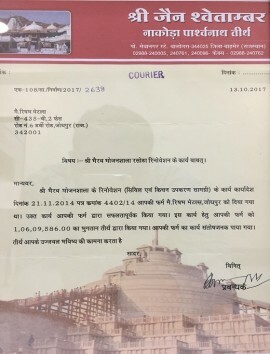 Rishabh Metals had a responsible and cooperative behavior to us. Having quality products, excellent finishing and remarkable services. © 2016 Rishabh Metals . All Rights Reserved.